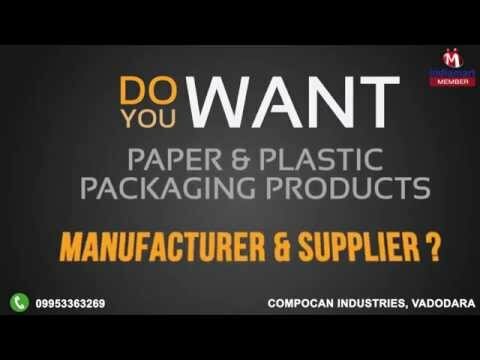 Welcome to Compocan Industries, established in the year 1999, we are one of the leading manufacturers and suppliers of a wide range of the best quality of Paper & Plastic Packaging Products. The product range consists of Composite Cans, Composite Containers and Paper Cores. These products are precisely manufactured from quality assured paper and plastic materials that are sourced from trusted and reliable vendors of the industry. In compliance with the specifications provided by the customers, the offered packaging materials can be customized at our end. Owing to their resistance to leakage & moisture, non-reactive nature, sturdy construction and durability, these products are highly demanded in various packaging industries. Utilizing the skills and knowledge of our employees, we have been able to cater to the precise needs of our valuable customers. Rigorous quality assurance procedures are carried out, to ensure that the premium quality of the offered range of paper & plastic packaging products is never compromised.